Like me, my friend and colleague over at Muddy Sussex has a background in travel journalism. 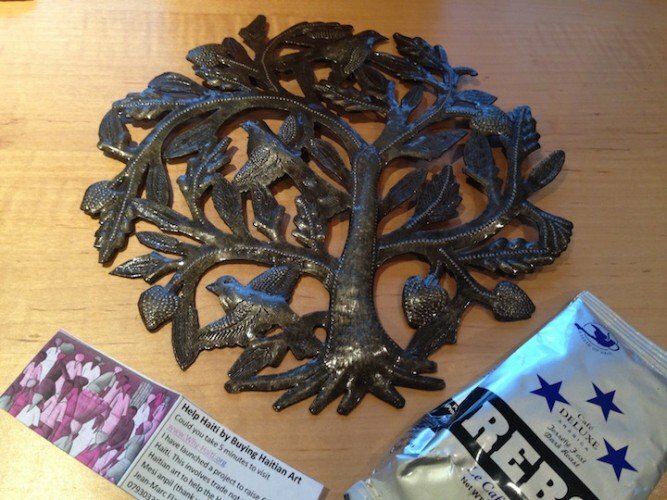 Having visited Haiti a couple of years ago, the recent devastation caused by Hurricane Matthew pulled at Debbie’s heartstrings and she felt compelled to find a way to help. Read her warm post about this beautiful country – and how you too can help – below. Thanks Debbie. 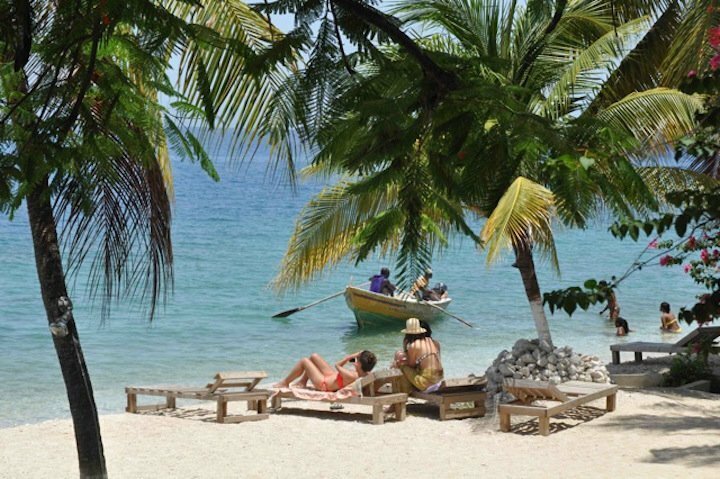 Some countries seem to suffer more than their fair share of problems and Haiti is one of them. 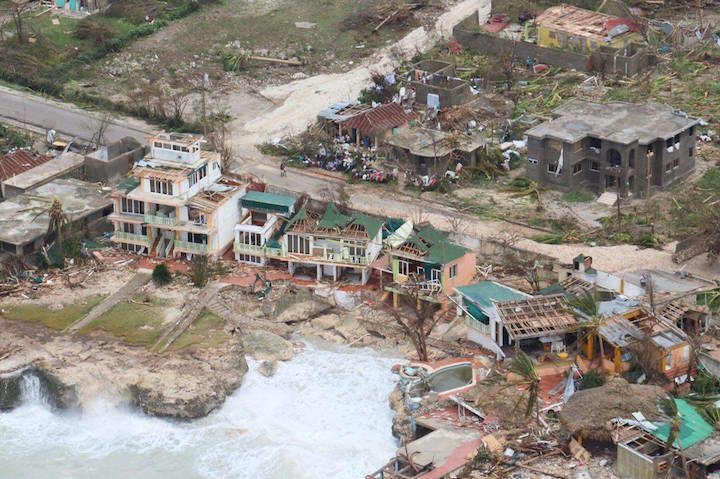 Six years on from its earthquake it was recently hit by Hurricane Matthew which damaged infrastructure and left hundreds dead and hundreds of thousands homeless. 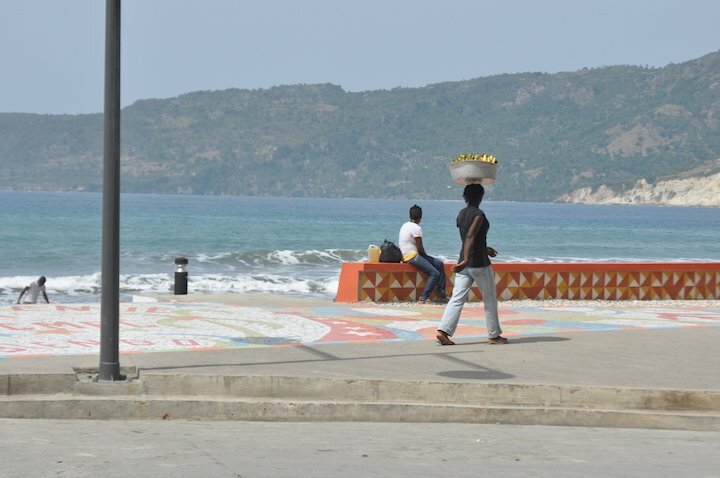 The images on the news have extra resonance for me because I visited Haiti two years ago to report on how it was getting its fledgling tourism industry off the ground. A host of UK tour operators who visited around the same time were as impressed as I was by what the country had to offer and started featuring holidays there. These were not for your typical Caribbean fly-and-flops (though hotel development along the beaches means this on the cards) but tours for more adventurous travellers (like me in fact) with an interest in culture and hill hiking (OK maybe not the hill hiking in my case…). Things were starting to look a little rosier for the country. 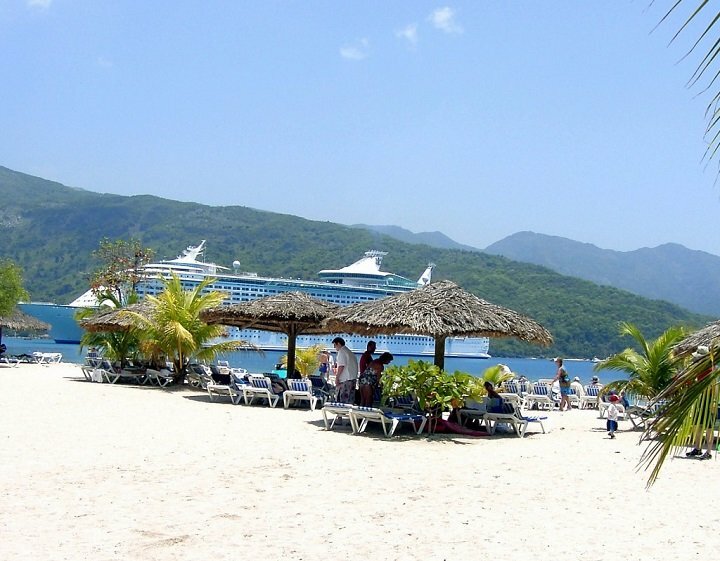 Haiti is a fascinating place, quite unique among Caribbean islands and utterly different to the Dominican Republic with which it shares the island of Hispaniola. 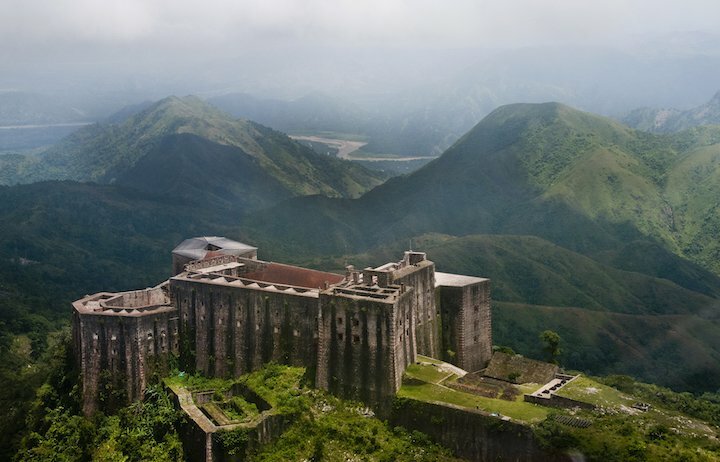 This was the only nation to have a successful slave revolution – they literally rose up against their French masters in the 18th century and claimed the island for themselves, building a stonking great citadel full of plundered cannons in the aftermath. 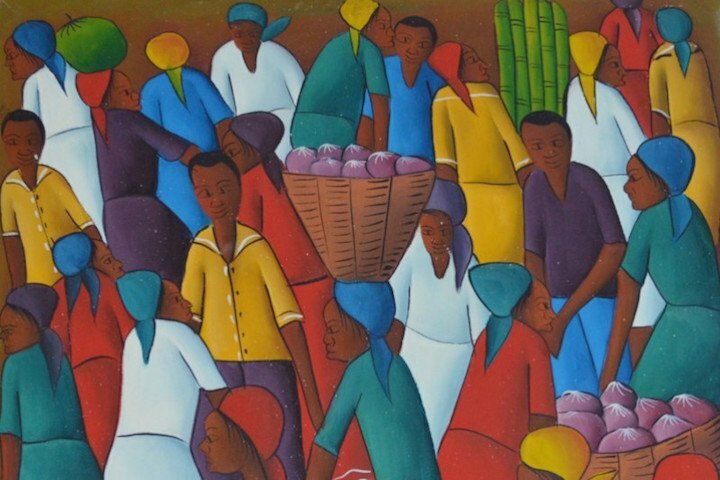 Consequently the Haitian people’s African roots are far less dilute than those of other Carribean nations. 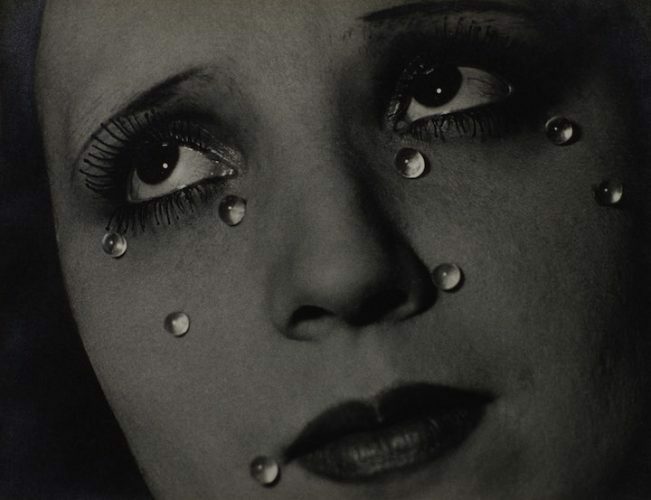 I saw people carrying everything from a stack of spring onions to an upturned coffee table on their heads. I also attended a Voodoo festival in the woods. The African religion is mixed with shades of Catholicism from slavery times meaning there was frentic drumming, candlelit rum puddle offerings being made at the foot of trees, yet people were also being baptised in the river and holding a vigil outside a church. Someone sprayed me with incense from a can. Or was it Febreeze? I was a little hot and sticky after all. 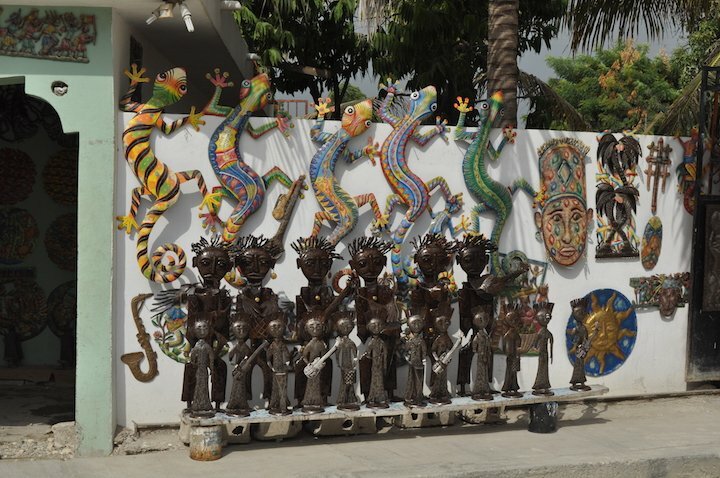 Voodoo culture spills over into a vibrant art scene which is found everywhere from street stalls to fancy galleries to giant papier mache carnival masks to public mosaics and sculpture. 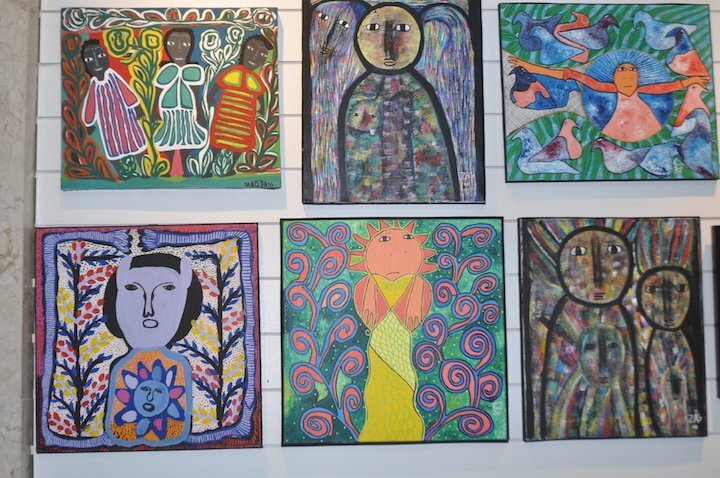 It’s with this in mind that my friend Jean-Marc Flambert, who was Haitian born and now promotes Caribbean tourist boards in the UK, has started a scheme to help Haiti by buying Haitian art. His plan is to help ordinary Haitians whose earnings have been affected to pick themselves up from their latest tragedy with trade not aid. 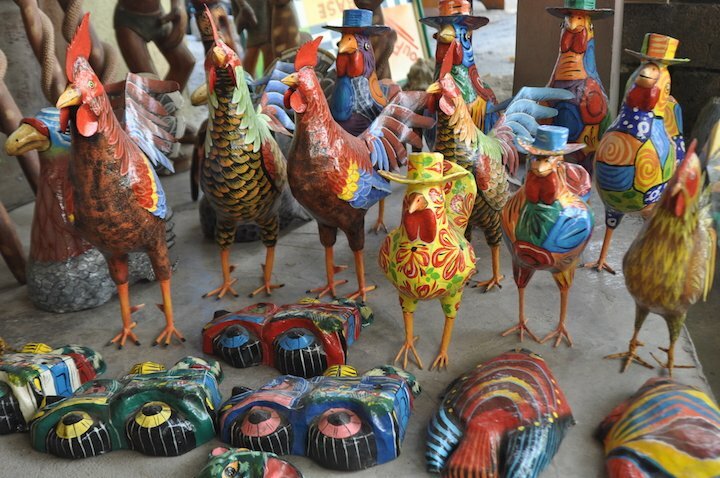 This is very much the Haitian way – every street corner seems to hold an impromptu market. When I visited, the area of capital Port Au Prince that had been worst hit by the earthquake was lined with street stalls trading electrical components. 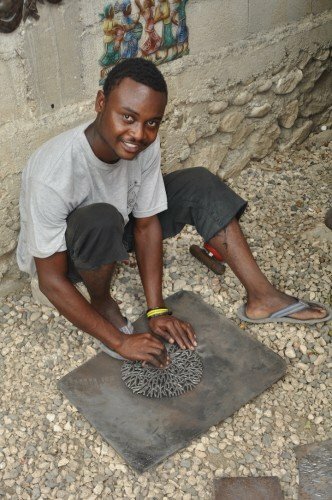 Jean-Marc is asking people to visit his fundraising website and pledge money for art – from a simple metal ornament or street sketch up to a large canvas, or a sequined covered ceremonial voodoo bottle – which he or his friends and relatives will then buy direct for you in Haiti. This is then posted to you (postage is included in the guide price) for you to hang proudly on the wall of your home or business or give to someone this Christmas. 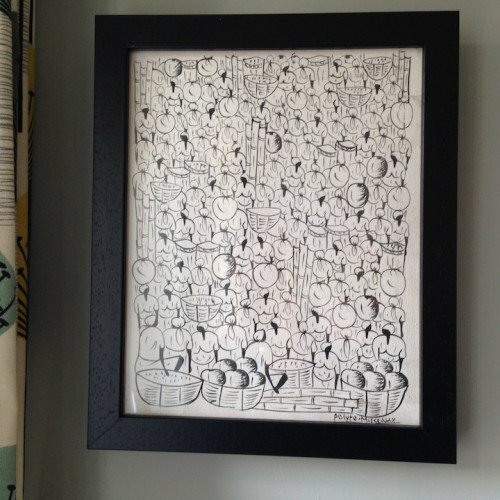 There’s an element of lucky dip to the scheme – Jean-Marc has photographed his own collection as a guide to what can be bought with certain levels of donation but designs will differ. This was what I got through the post a few days ago, about a week and a half after making my donation through the Go Fund me site. 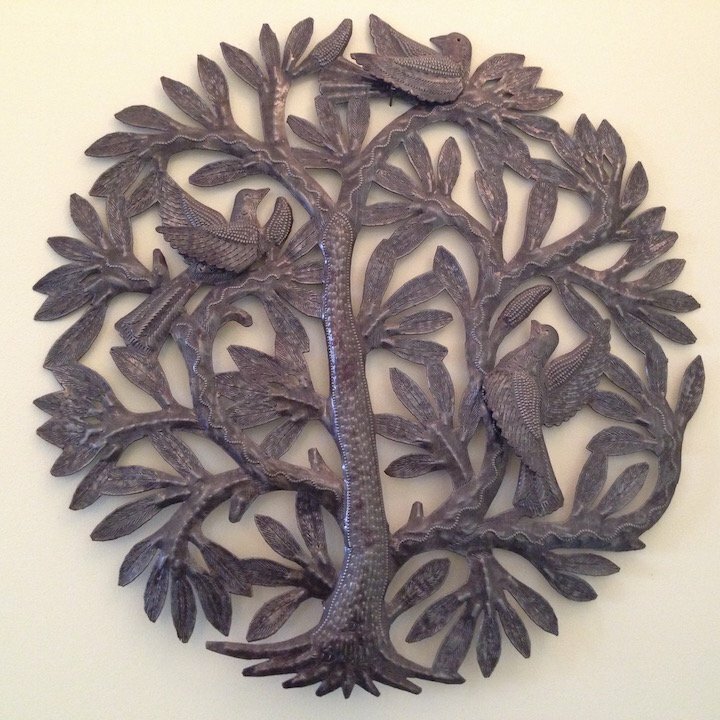 It’s a charming metal sculpture made from part of an oil drum, which will now grace my garden wall. There’s a comment box on the website so you can add a note on your preference under guidelines as to what your money can buy. I knew I was getting a metal piece but not what the remainder of my money would be used for. In the event, the rest of my parcel comprised Haitian coffee (seized upon by Mr Muddy who is on a personal world coffee-tasting mission) and a kind of homemade peanut brittle, which certainly cheered up my lunch break. You can also buy Haitian rum which, believe me, is good. 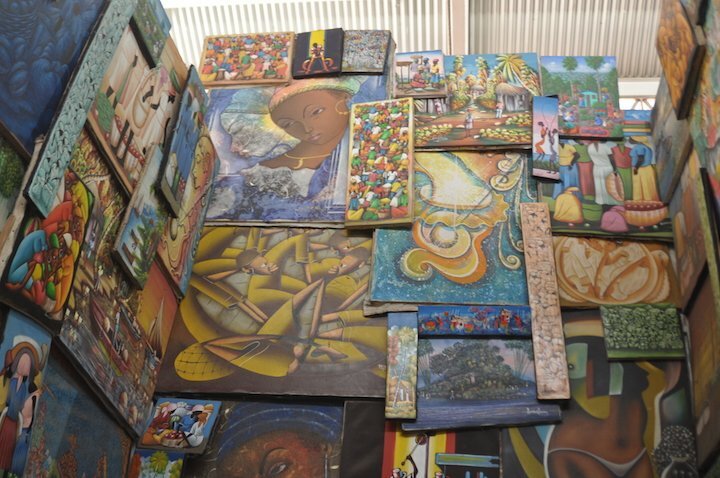 Jean-Marc hopes his scheme will result in £10,000 being donated and over 1,000 homes and business in the UK displaying Haitian art. He’s currently about a quarter of the way to his target.